Keith Wieser is part of a movement of evangelical leaders planting churches on college campuses. In 2006, he and a small group of believers began Resonate Church at Washington State University. Keith Wieser was sitting in the stands at a Washington State University football game in 2005 when he had a “God moment”—an experience he says changed the trajectory of his life. From where he sat, he remembers seeing almost the entire student body gathered in the stadium that day, cheering and shouting, supporting their team. In the midst of it all, Wieser says he began to feel God whispering to his soul, asking him a simple yet incredibly powerful question. What are you going to do to make a significant impact on the lostness of this campus? At the time, Wieser and his wife were working in a campus ministry at Washington State, but they felt God calling them to do more. “We began to dream about what it could look like to release the power of the church in the center of campus,” Wieser says. They went on to plant Resonate Church—a church based on a college campus that has grown significantly since it began with a small group meeting in a local coffee shop in December 2006. Since then, Resonate Church has seen floods of students come to Christ, celebrating 854 baptisms, Wieser says. Today, Resonate has expanded to 11 sites in eight towns throughout Washington, Idaho, and Oregon, and they’re planning to launch another site in Montana. The story of their explosive growth on college campuses is just one example of a larger movement—church plants and campus ministries across the nation working to engage college students and young adults with the gospel at a critical moment for the church in North America. In the Facts & Trends’ Future of the Church study by LifeWay Research, 68 percent of Protestant pastors say the attendance of young people—those 18 to 29 years old—has decreased or stayed the same over the past five years. And 4 in 10 pastors say reaching this generation with the gospel is the issue they’re most concerned about when thinking about the future of their churches. When it comes to making an impact on the next generation, Wieser and other evangelical leaders say college campuses are one of the best places to start. “We believe the university campus is the key to transforming culture as we look toward the future,” Wieser says. Brian Frye, who serves as the national collegiate strategist for the North American Mission Board, says focusing on college students in these kinds of ways can be incredibly impactful. “If we can engage college freshmen with the gospel, that tends to be the time in life when people are experiencing the highest level of receptivity to the gospel,” Frye says. 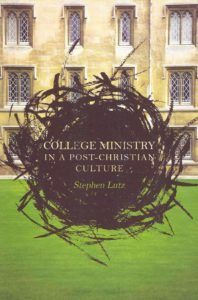 Frye doesn’t deny the fact that college ministry could be difficult or time-consuming, and he admits that some might see college students as being “flaky” and “messy,” but he says ministry to people in this age group has the potential to be incredibly impactful. “We feel like that’s the quickest way to accelerate the gospel,” Frye says. Recognition of this has led to an emerging trend of “collegiate church plants,” or churches planted on or near college campuses. Frye says there were only a handful of collegiate church plants in 1999. Today, however, there are about 100 collegiate church plants across the nation, Frye says. That includes 19 launched last fall. Frye says this trend is encouraging—but if Christians really want to reach college students, they’re going to have to take this goal seriously and make some changes at large. As a student at Iowa State University, Kendra Gustafson was heavily involved with the Salt Company, a ministry to college students. When she graduated in 2010, she joined the Salt Company’s staff. Though she’s only eight years removed from her college years, Gustafson says she’s realized the students she works with today are living in a very different world with its own unique challenges. “Because the world is changing fast, some of the unique struggles they face, it’s hard for me to relate to,” she says. One difference she’s noticed is the impact of social media. “Their whole worldview and the way they view relationships is really mixed and mangled into online, indirect forms of communication,” Gustafson says. This leaves many students craving real, authentic community, even if they don’t necessarily know how to express that desire. Social media has also left students with shorter attention spans, Wieser notes, which means they’re not as easily entertained as they once were. But what college students and young adults aren’t looking for in terms of entertainment, they are looking for in terms of clarity, he says. Similarly, Gustafson says she sees a desire for authenticity among many college students and young adults. These college students and young adults don’t want to be merely passive participants in church or a campus ministry. They want to be involved, Wieser says. For that reason, he says they should be able to clearly understand—and engage in—the mission of the church or ministry from the beginning. Frye says college students and young adults should be introduced to the importance of church planting and spreading the gospel as soon as they become believers. This idea of encouraging students to be proactive in reaching their peers with the gospel is a key part of the Salt Company’s mission, Gustafson says. “One of our driving principles is that students reach students, so we do our best to get the students to train and equip the students themselves to be evangelists and friends on campus to people,” Gustafson says. And, doing this will help college students and young adults see the purpose and mission from the beginning, which Wieser says is incredibly important. “Just have high ownership and engagement with that group of people and empower them, release them,” he says. Over 10 years after Resonate Church held its first public services, the church is still working to be innovative, current, and relevant to the lives of the college students it serves. Wieser says this is something collegiate church plants and ministries must continue to do if they want to reach college students. “I think that when we as a church don’t adapt to the actual needs of the people, but we just ride the wave of what we think is cool or what used to work—what used to be the most appealing thing for the past generation—we’ll lose touch with what’s most important with this generation,” Gustafson says. While LifeWay Research found a significant portion of Protestant pastors were concerned about reaching the next generation, there are also many who are hopeful about the future. Overall, 72 percent said the church attendance of those 18 to 29 years old will increase over the next five years. Leaders like Wieser are hopeful, too.